Berocca Review: What are Berocca Tablets? Should you be taking them? In my line of work, am burdened with a tight schedule and dozens of meetings daily. It is just natural for my brain to switch off at some point. After all am only human. I spent quite some time looking for a solution. Something that could keep me alert and energized throughout the day. I tried caffeine pills and energy drinks but they never quite seemed to work. Their effect would wear off in no time. One day, I was lamenting about my predicament to a close friend of mine who advised me to try Berocca tablets. He we went on and on about how the berocca vitamins are all the miracle he needed to give a kick to his otherwise boring life. I thought about it for a while and thought why not? What are the major ingredients? What exactly does Berocca do? How do you take the Berocca tablets? Berocca tablets are a vitamin mineral supplement that helps improve mental sharpness and physical strength. You might also have heard the energy tablets being referenced as berocca energy, barocca drink, or berocca boost. They all mean the same thing. 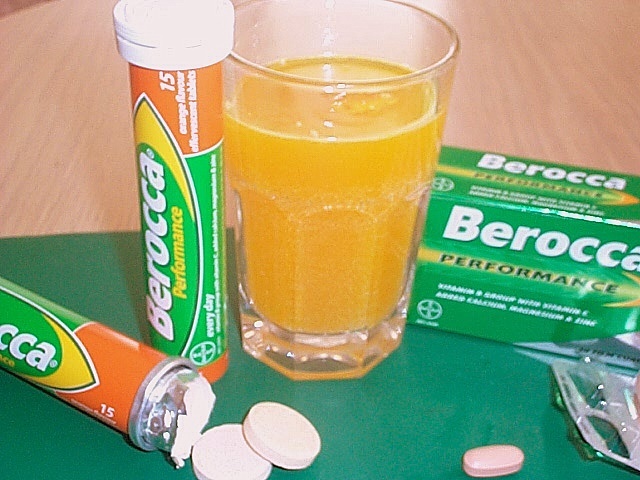 Originally, Berocca tablets were manufactured by Roche Pharmaceuticals . This company was later bought by Pharmaceutical giant Bayer. Today, Bayer continues to manufacture the supplement. ​A supplement is only as good as the ingredients that constitutes it. So, what is in berocca energy boost? Are the ingredients good? Do they have any side effects? Berocca is rich in Vitamin B and contains other vital vitamins and minerals. Vitamin B converts food to energy giving you all the energy you need to carry you throughout the day. Berocca tablets have also been added guarana and caffeine. This is what keeps your mind sharp and alert throughout the day giving you the enthusiasm you need to go survive the craziest schedule you can possibly have. 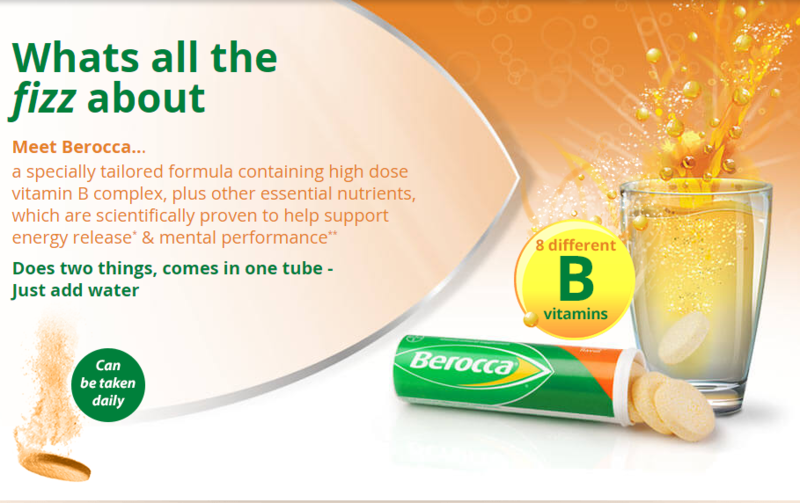 Berocca Vitamin Supplement is rich in vitamin B (folic acid). And zinc that helps boost body immunity. It is also good source of calcium, potassium and other vital minerals. Maltodextrin, Citric Acid, Sodium Bicarbonate, Magnesium Sulfate, Magnesium Carbonate, Calcium Carbonate, Caffeine, Polyvinylpolypyrrolidone; Less than 2% of: Acesulfame Potassium, Natural and Artificial Flavors, Aspartame†, Beet Juice Powder (color), Ascorbic Acid, Beta-Carotene, Biotin, Calcium Pantothenate, Cyanocobalamin, Riboflavin Sodium Phosphate ,Guarana Extract (seed), Mannitol, Niacinamide, Polysorbate 60, Zinc Citrate Polyvinylpyrrolidone, Pyridoxine Hydrochloride, Salt, Sodium Carbonate, Sorbitol, Thiamine Hydrochloride, , Folic Acid,. Before I buy anything I always ask myself, will this work? Will it be a total waste of money? At first I was a bit hesitant. I thought my friend was just exaggerating. After much thought and debate, I put it in my shopping cart one fine day. It didn’t take long for the package to arrive. Boy was eager to try it? The next day, I had a crazy schedule at work, meeting after meeting. I surely needed something to help me survive the day. To say the least, the Berocca Vitamin Supplement could not have arrived at a better moment. The next morning, I took a tablet and carried it in my bag. My plan was to take it in afternoon. This is the time am usually totally worn out with zero concentration. I rushed to work but at the back of my mind, I still had fear. I had an important presentation that evening. What if it didn’t work? What if it wore off after a few minutes? The morning went on just fine. By mid morning I was a starting to feel a bit off. I started feeling tired and my concentration was reducing with every passing minute. It is at lunch hour that I took my first pill. That first experience was amazing. I felt super energized for the rest of the afternoon. My presentation that day was amazing. In the board room I seemed to be only energetic one. That marked a new dawn in my life. I planned to keep it that way for the rest of the days. From that day on, I take a tablet every day. It keeps energetic and alert throughout the day. That kind of alertness you cannot get even with 10 cups of coffee. What I like most about this product is that it tastes great and doesn’t give you any jitters. When I take it, I remain calm and do I also say happy through the day. It also does not interrupt my sleep. In terms of effectiveness I would rate it as among the most effective multivitamin product there is in the market today. It does what the manufacturer says it will. How does it do all this? You might be wondering. The secret is in its unique ingredients. Berroca Mineral Vitamin supplement is rich in Vitamin B. Vitamin B helps convert food into energy without adding any extra calories in your body. It contains zero calories. The amazing combination of caffeine and natural guarana does a great job to your mind. This is what keeps your mind sharp and alert. The manufacture gives directions. It is pretty simple and straightforward. You dissolve a tablet in between 8-12 ounces of water. The manufacturer recommends you take one tablet in a day. Taking more than that may lead to overdosing which might be harmful. What should you expect after taking the tablet? After taking the supplement, you should expect to feel more physically energetic that you usually do. Your mind will also be more alert and your concentration will improve. If you are looking for an energy supplement product that will keep alert and energized, the Berocca energy is what you need. I would recommend this product to anyone. It has worked miracles for me.